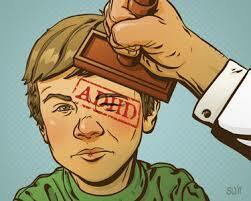 Children with ADD and ADHD display higher levels of the neurotransmitter dopamine. Disorientation shifts our perception of time and increases the dopamine output, and having an increased amount of dopamine around the synapses of the brain, the “internal clock” speeds up. Naturally, time in the classroom seems to be excruciatingly slow in comparison. Instead of using discipline to force them to sit motionless, encourage an activity when you see that happening. It could be as simple as running an errand, giving a note to another teacher, accompanying another student to the sick bay or anything you can think of. Movement, stretching or any combined class activity, like playing with Koosh balls is great to help them and synchronize the energy of all children. Categories: adhd, dyslexia, hyperactivity | Tags: #sydneydyslexia, teacher and hyperactive students | Permalink.